Whenever we have to go on a long driving trip, I plan an over night stop for every three hundred miles. We’re lucky that at this stage of life and with today’s electronic world we can keep working and take the time for more leisurely journeys. 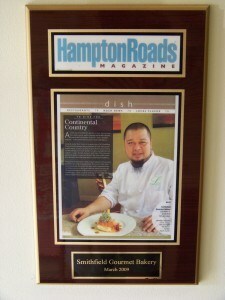 Recently returning from Pennsylvania one of our stops included two nights in Smithfield, VA. Primarily known as the “ham” city and before environmental scrubbers it did smell like ham. Now it’s also known as a serious destination for “Encore Weddings”. These are those going for second + weddings. On a previous visit we drove through only stopping for an ice cream on the historic Main Street. Charmed by the ambience we planned no wedding but a longer return visit. Our King Studio Sitting Area. We checked into the very nice Hampton Inn & Suites, a bit on the other end of town from the historic district, arriving later than planned due to extensive road construction. The small refrigerator, microwave and coffee maker can fill in for a total kitchen. The divided bath works well when there is more than one person too. Just like being home. Although the hotel was full being newer and set back from the highway it was blissfully quiet and we enjoyed all the amenities our king suite offered. 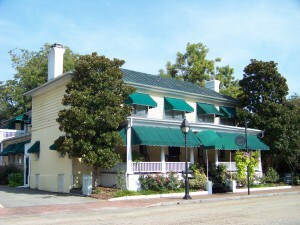 Smithfield has several B&B’s that would provide a nice getaway including the Smithfield Inn where we had a pleasant dinner that first evening. A lively group of locals were enjoying themselves in the Tavern Rooms bar area which also has tables and a more casual menu. 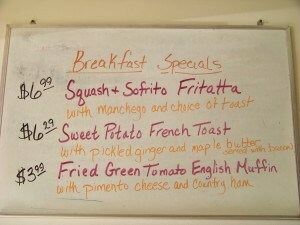 The dining room is separate, quieter with white tablecloths and a slightly upscale menu. 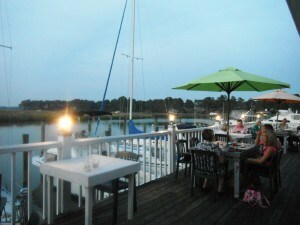 We started with a cup of the She Crab soup that was very creamy, a touch of old bay and thick with crab ($5.95). I had the Lobster Mac and Cheese ($23.95) a velvety concoction of Alfredo sauce, lobster, parmesan and bread crumbs. My partner had the Ribeye special. A nice size steak with a Gouda cream sauce served on a bed of fried onions and peppers. For dessert we tried their famous Mozie Browns bread pudding which was sweet and tasty. 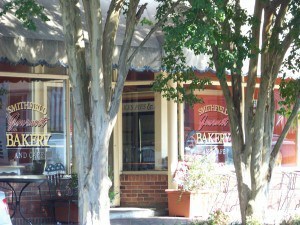 Our first stop in the morning was a fantastic breakfast at the Smithfield Gourmet Bakery & Beanery. The building was built in the early 1800’s on one of the ten original land grants from England in 1734. 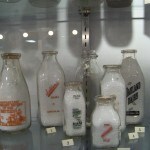 It operated as a brick storehouse for over 20 years and then became a pharmacy from 1834 until the late 1970’s. Today it’s a busy place with locals stopping in for a pastry treat or loaf of special bread every few minutes. 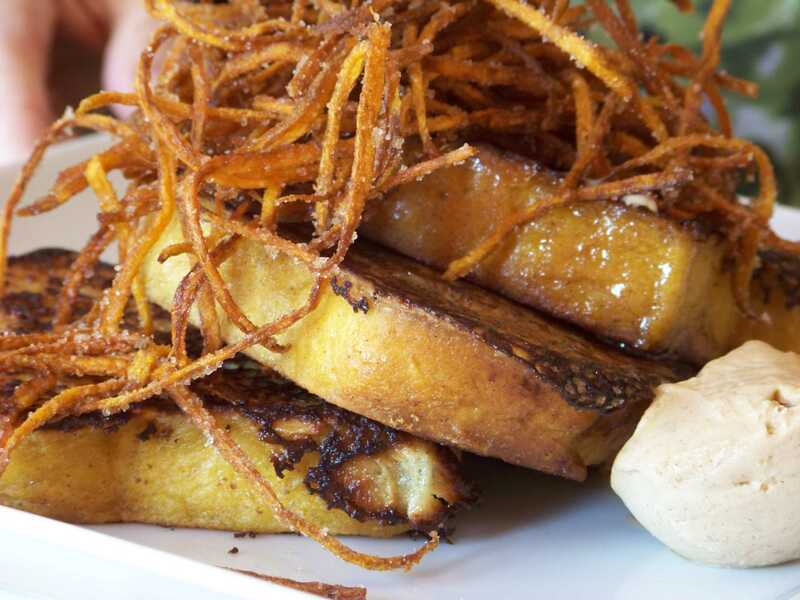 My sweet potato bread French toast was so good and beautiful with its candied shreds of deep fried sweet potato mounded on top all I could say was why didn’t I ever think of this? My tablemate had the amazing special a Sofrito Frittata garnished with Nicoise olives and deep fried spinach leaves. The presentation was mouth watering and he devoured the frittata in large forkfuls. 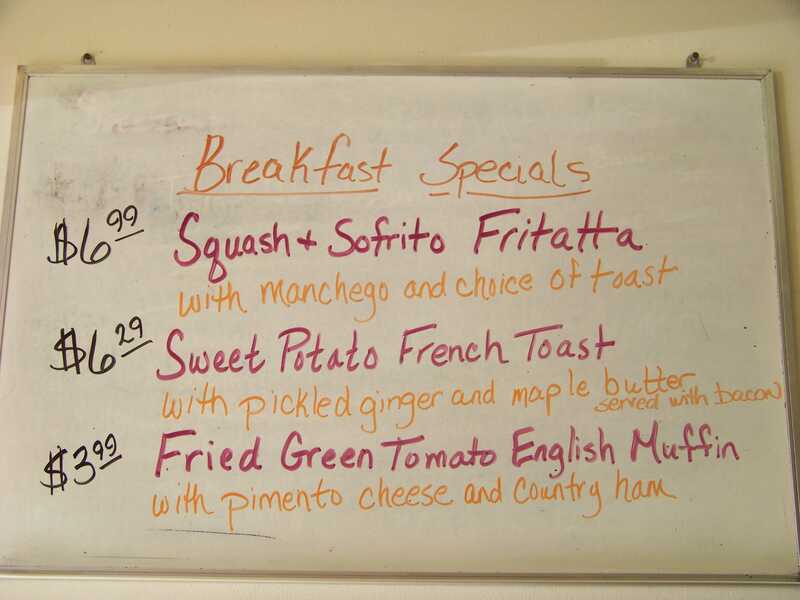 This was creative cooking like one expects in NYC not necessarily rural Virginia and for a weekday breakfast! Google to read one rave review after another from other diners. 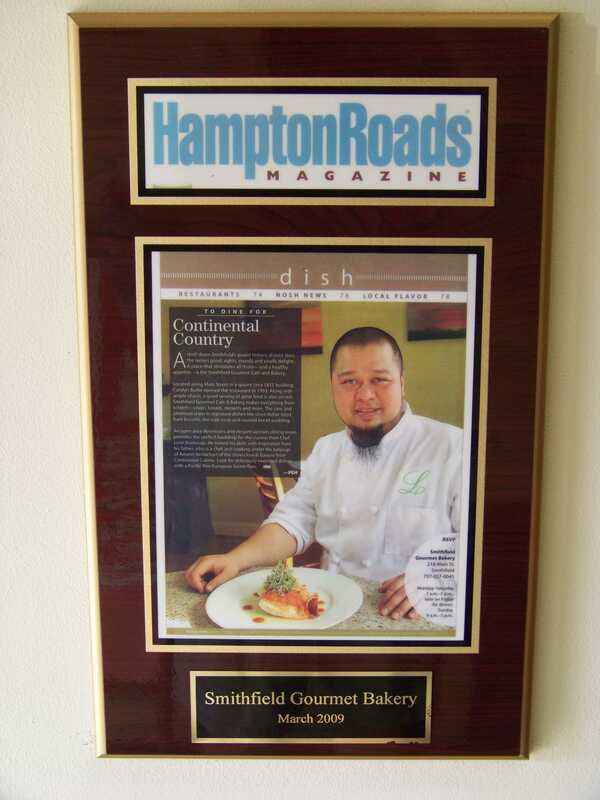 Leon Buenviaje, executive chef, came out from the kitchen and said they have casual dining for breakfast, lunch and dinner on the first floor and fine dining in a totally different atmosphere on the second floor. If I lived nearby this would be my choice for dining out on a regular basis but until then we’ll drive out of our way to come back again. 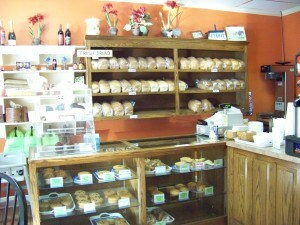 The temptation of their wonderful bakery goods would require a serious exercise regime. 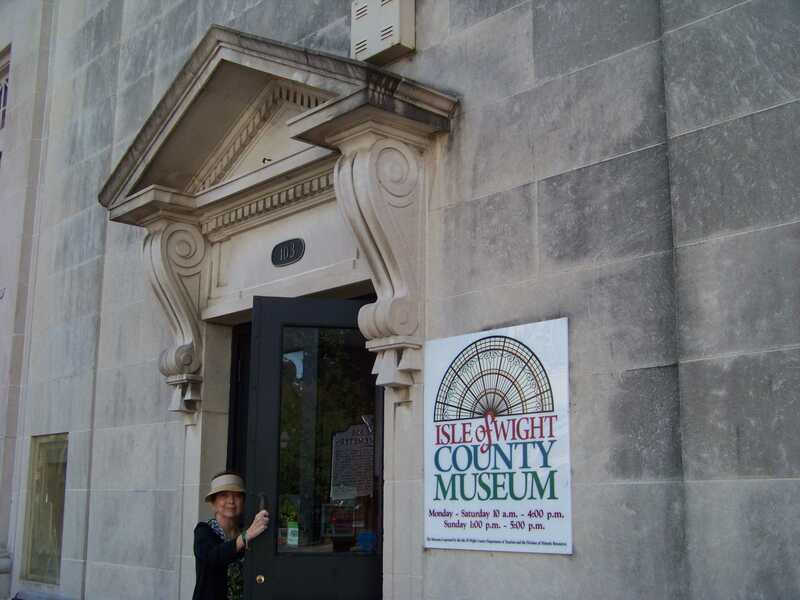 Next we slipped across the street to the Smithfield & Isle of Wight County Convention and Visitor’s bureau to pick up brochures and get a load of information from Rick, one of the knowledgeable volunteers. 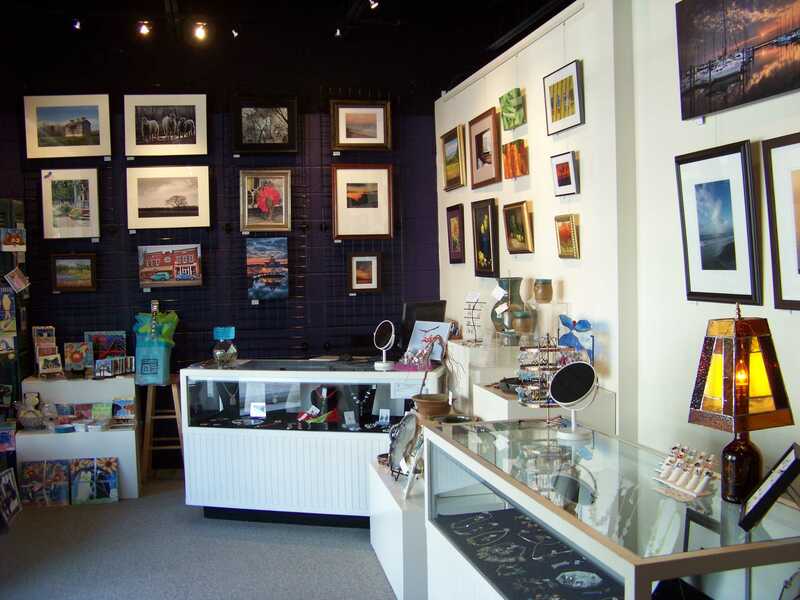 What is especially unique about this visitor’s center is it’s adjacent store and studio space for local artists. 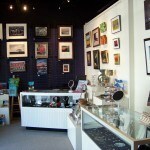 We all bemoan the lack of local products to buy as gifts or souvenirs when we travel because they are so hard to find. 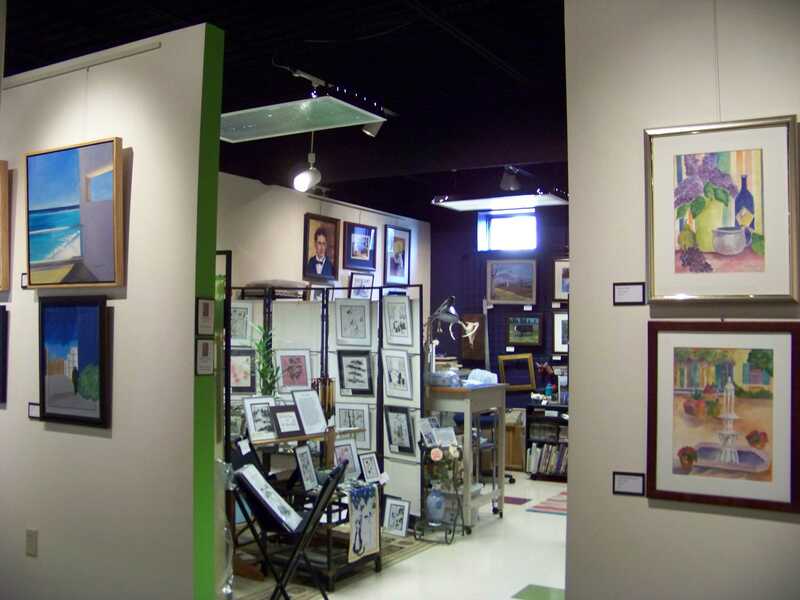 Well a very smart person in Smithfield made a brilliant decision in putting the visitor’s center in with these artist’s studios and shop. 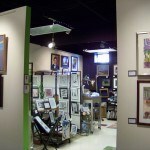 As someone from a family of artists and crafters, I thought the items for sale were of top quality and most reasonably priced. You’ll have a choice of an iPod recorded walk, a brochure guided walk or a tape for your car or even a real person guide can be arranged. Armed with a ton of information we strolled a few blocks to the museum to pick up our headphones for the historic walk (brochures at the visitors bureau, iPod at the museum). The walking tour of the historic downtown district encompasses over 50 historic buildings including the 1750 Courthouse, modeled after the Capitol Building in Colonial Williamsburg, the School House Museum, and an African American Museum built in 1932. One highlight of walking along looking like tourists clenching our iPods and gazing about while making frequent stops was we attracted the attention of various locals who checked on our progress, invited us into their yards to see the river views and one city maintenance employee trimming bushes expertly answered a myriad of questions. Pagan River View from backyard of Historic Church St. Home. The iPod tour is quite detailed with a lot of historical information and one would go a bit faster with the brochure guide. I don’t think you would do justice to the charms of this town with a driving tour. The sidewalks are in quite good condition for walking and a new section has just been bricked so at this point they are still neat and even. Now it was time for lunch and we popped into the Taste of Smithfield, a cafe and gourmet grocery, serving only Smithfield Foods products to a steady stream of locals and tourists. The Smithfield “family” not only employs many they are great benefactors to the town and most instrumental in its preservation. 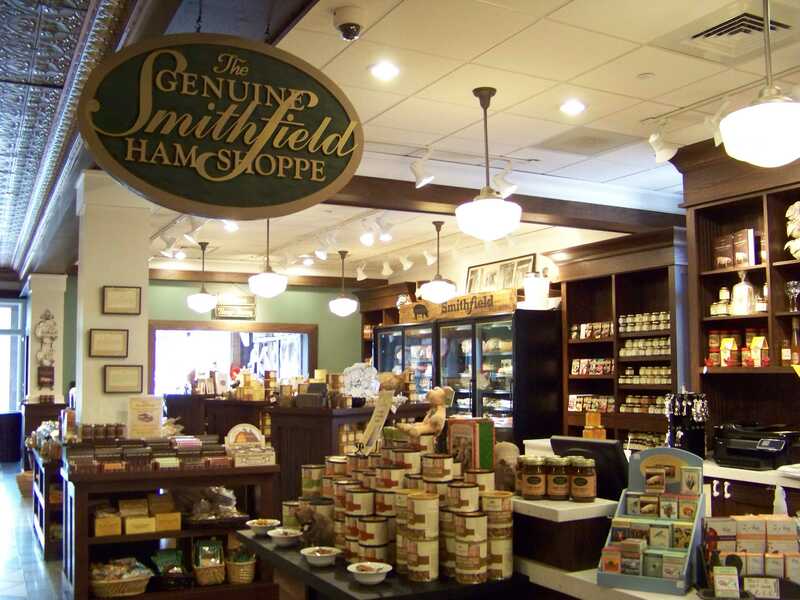 The casual lunch menu is focused on Smithfield products and the store is a wonderful gourmet gift shop also featuring lots of southern items including all sorts of flavored peanuts, country ham, peppered slab bacon and a host of other food products. My quiche had more bacon than I’ve ever experienced in one sitting! Next stop was to tour the Isle of Wight County Museum with its overview of the county’s history and the world’s oldest, edible cured ham (1902), an example of Smithfield’s famous ham curing process, as well as Civil War, Native American and Colonial era artifacts and of course the world’s oldest peanut. Here it is! 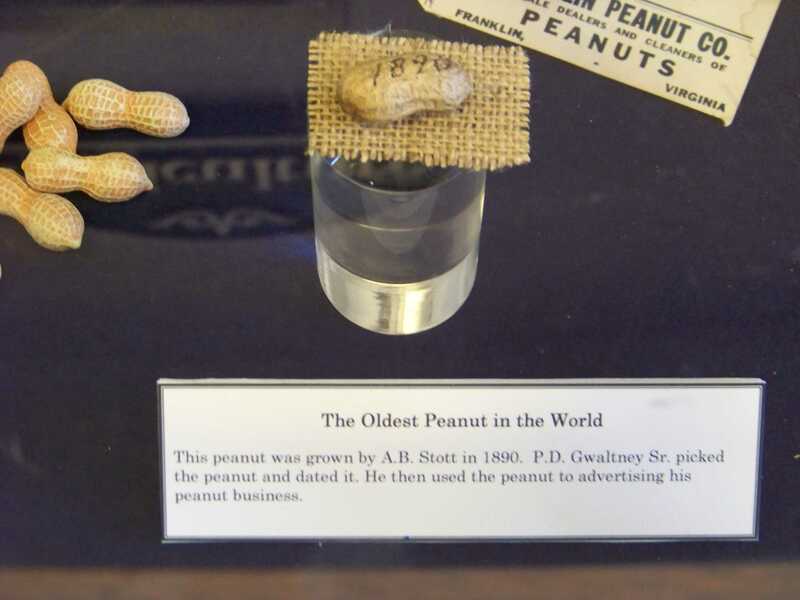 The Worlds Oldest Peanut. We saw and read the in depth story of the town’s founding, the progression of the ham industry and other county businesses. 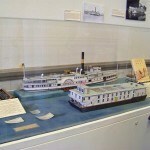 They have excellent exhibits well suited for all ages and entertain lots of school kids as well as visiting tourists. 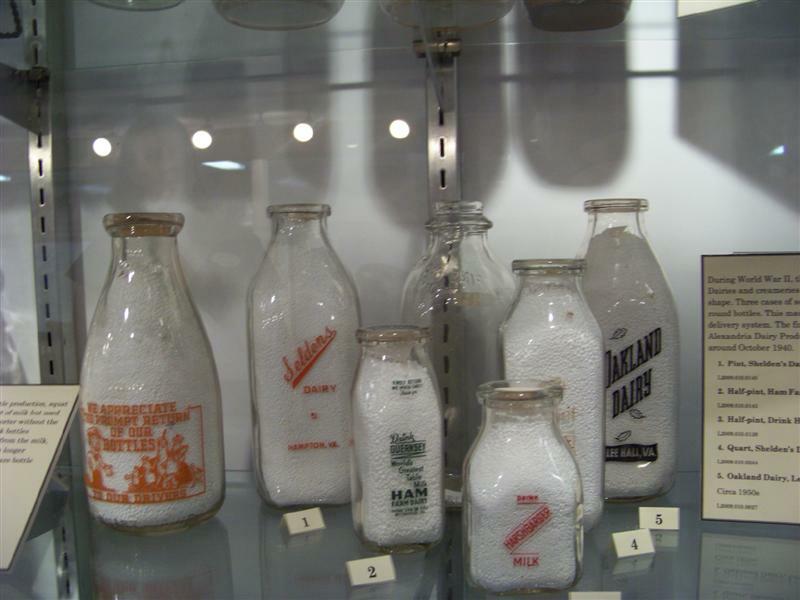 A small section of the milk bottle collection. The country story was particularly interesting although they actually featured a few things I’ve owned and that’s always a scary reminder of how fast time flies! 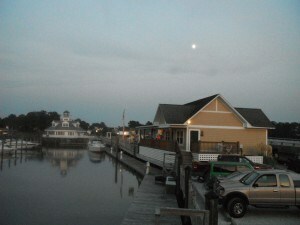 Smithfield Station Harbor at dusk. The sun is setting fast, time to freshen up and head for dinner at Smithfield Station on the banks of the Pagan River. The Pack family created this waterfront complex that combines an inn, conference space, on-site dining and a fully equipped marina. 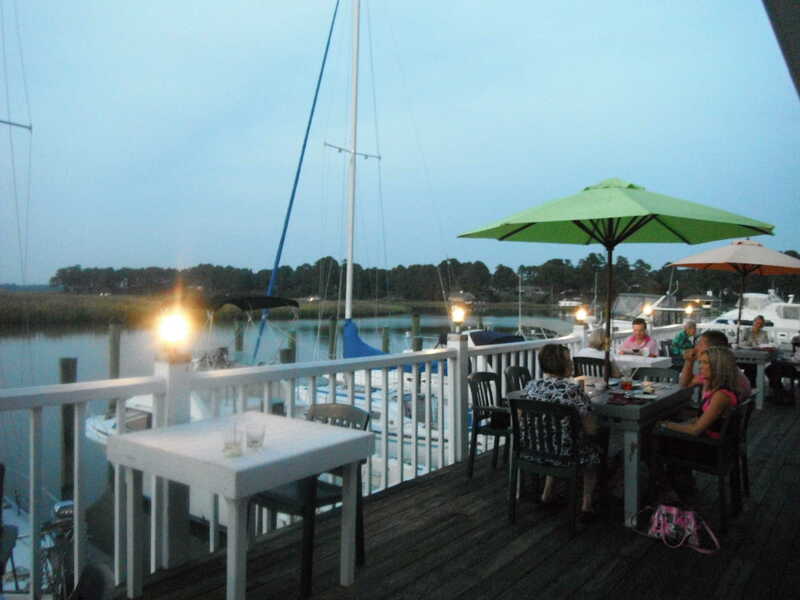 You can enjoy spacious water views if you re staying at the Inn or there for dining. Drinks on the Deck at Smithfield Station. The Smithfield Station complex has shops or you can book a fishing trip, dock your boat or like us just stop for a seafood dinner. So far we hadn’t met one unfriendly person in our whole time here and that didn’t change the next day either. After a substantial breakfast at the Hampton Inn & Suites we drove about 8 miles from downtown Smithfield to the earthen works of historic Fort Huger, a strategic Civil War site. Located along the banks of the lovely James River we were guided by local historian Albert Burkhart. 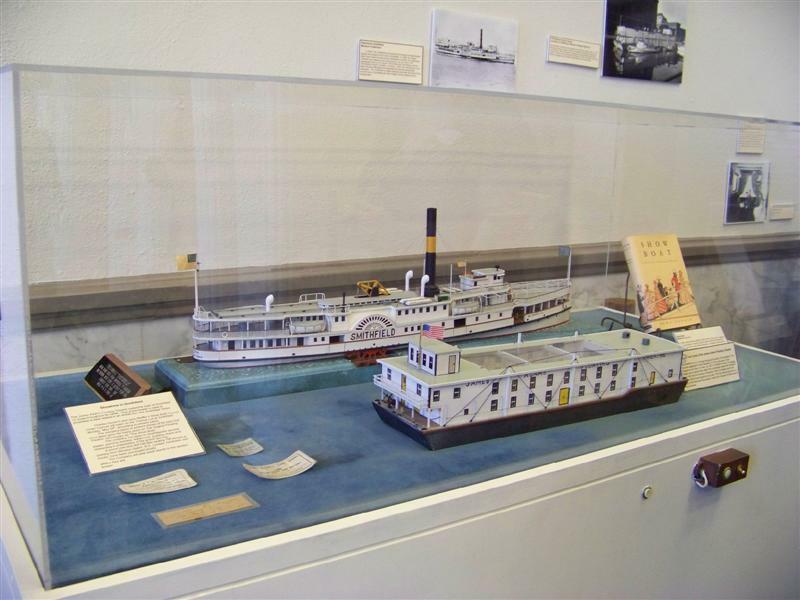 This is a not to be missed once a month tour with Albert’s entertaining and educational narrative. The tours are free but donations appreciated if you want to help with the fund raising efforts. One can always visit the fort on your own and it has wonderful placards explaining the story of the fort past, present and future. This is an on going restoration project so it is a great stop for Civil War buffs to enhance historical research and to observe just how detailed and comprehensive a project can be. 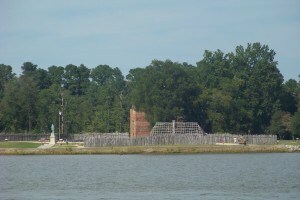 Fort Huger, the “Gateway to the Confederate Capital,” is a prime example of the fort system the rebels had built to protect shipping and supplies along the river. 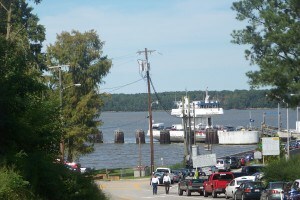 Looking across the river to JamesTown. The location of the fort on the south shore of the James River was important to the defense of the waterway for delivery of war goods and other supplies to Richmond, Virginia, the capitol of the Confederacy. This site was an excellent tie in with our recent stops in Jamestown, Williamsburg and Bacon’s Castle all within easy driving distance of Smithfield. Contact the Visitor Center to arrange a custom tour and for maps of Fort Huger. We were able to drive the perimeter of the new Windsor Castle Park located right in downtown Smithfield with entrances from several directions including across the street from Smithfield Station. However time constraints meant we’ll have to utilize this new 208 acre riverside park with its 4 miles of a woodland trails, orchards, picnic areas, dog park, state-of-the-art kayak and canoe launch, fishing pier, scenic overlooks and the Windsor Castle Historic site the next time we visit. 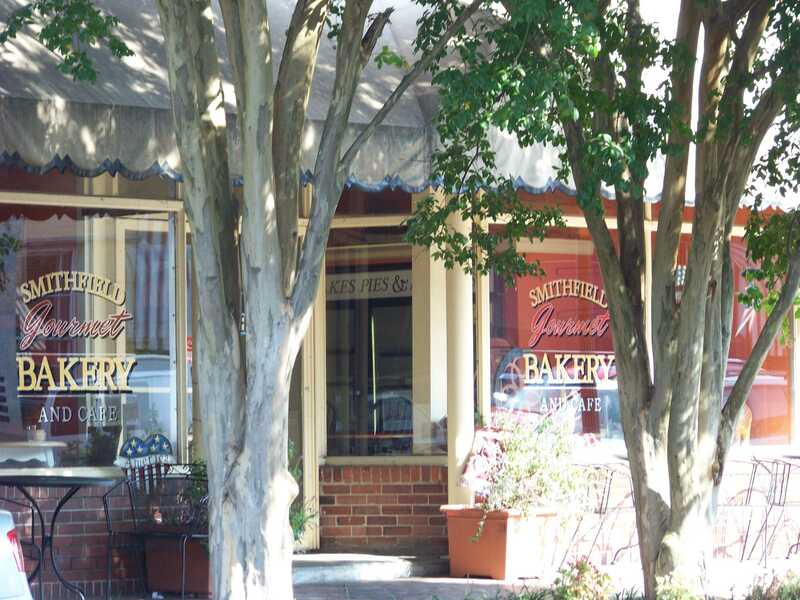 It would be easy to use Smithfield as your base for exploring not only the town but so much of the surrounding area including Darden’s Country store, Bacon’s Castle, even Williamsburg and Jamestown. Plus there are frequent festivals and special occasions going on. A short wait for the Ferry. 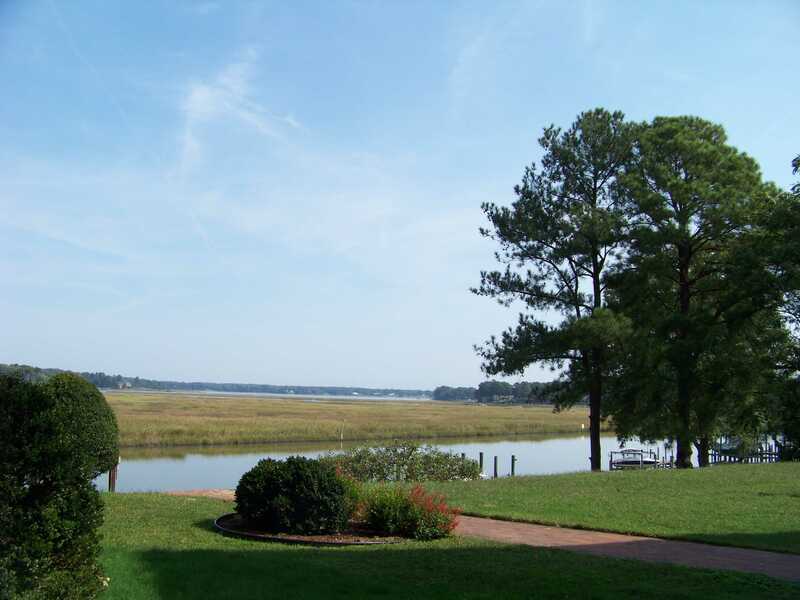 All in all, Smithfield provides the perfect getaway for any length of time and don’t forget about the free ferry across the James River. Stop by the Visitor Center for a map. 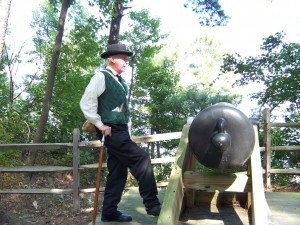 Fort Huger, located 8 miles from downtown Smithfield. 15080 Talcott Terrace, Smithfield Free Admission. Pagan River Outfitters offers kayak rentals, tours and instruction. This lovely FREE ferry ride connects the Historic Triangle with Surry, Smithfield & Isle of Wight County! The 15-minute ride across the James River will give you a unique view of the land. It’s not hard to imagine what the first colonists saw as they traveled on the same river almost 400 years ago. 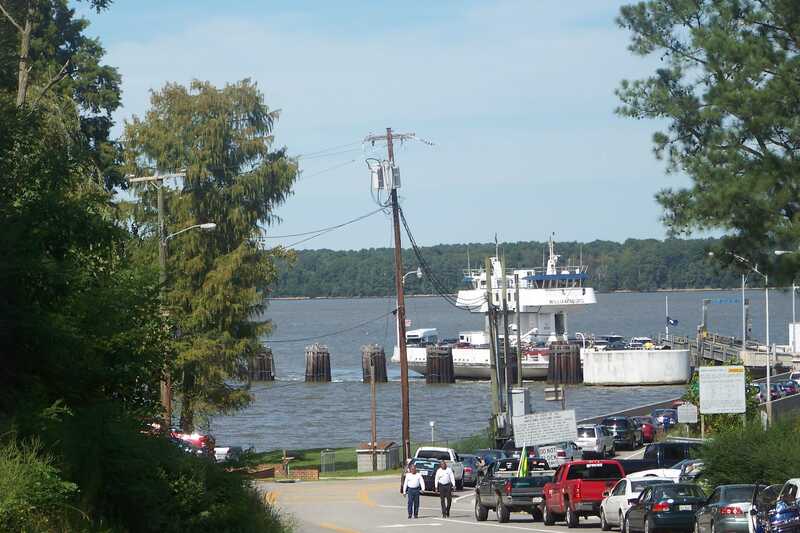 Year-round call 1-800 VA FERRY for information and schedule. ← Leipzig, Germany: One Of The World’s Leading Cities For Music.